This New Year CyberBingo is offering you the chance to win $10,000 cash to spend as you like to make 2014 a year to remember for you and your family. Make sure to join in the Bingo Tourney Room on Saturday January 25th to play in The New Year $13,000 Guaranteed Event. They will start the event off at 8pm ET with three (3) $1000 Guaranteed games to get you warmed up and at 11pm ET they will play the main game for $10,000 cash. Pick a golden number for the weekend and if you win a full house on that number during the weekend you’ll win a share of 250,000 points! Check out their new FANCY THAT games! Every Saturday the Hatter is giving away a hot prize for only 1p! Fancy a bit of that then, do you? £13,000 to be won on Bingo! Celebrate the year of the horse and ride your luck all the way to a huge £13,000 jackpot in the Lucky Horse Special Game! 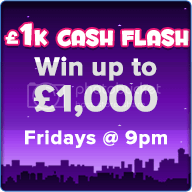 There’s £1M up for grabs every Fri @ 9:30pm. NOW with £1k GUARANTEED! Grab £1 tickets today for the Big Ben Bonanza! Stop by every Saturday for the famous 'Must Play Bingo Tourney', the perfect way to spend those late nights or early mornings! The games start at 8pm until midnight in the Tourney Room. They've got plenty of bingo entertainment so take a chance and you win some really big prizes! Get your paws on a £1,000 jackpot every Friday with this 5 Line bingo game. That’s more chances to find yourself Flashing the Cash! From 5:30pm take part in the £5,000 Social Sunday party in the Attic for all bingo enthusiasts where you'll get 500 chances to win £10! Even better, all week you can earn free tickets to all 500 games! 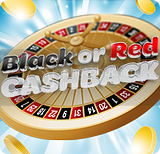 They are celebrating the launch their first ever Casino game, Roulette Splendide, by giving you the chance to earn 10% Cashback every weekend! This month's Big Bingo event - The $13,000 Romantic Getaway at CyberBingo gives you the chance to get away from it all and spend some time with the one you love. The $13,000 Romantic Getaway will play in the Bingo Tourney Room on Saturday February 22nd so take your chance to win big and celebrate with someone special in your life. Pink Ribbon Bingo is running an exciting week long ‘Mega Bingo’ competition, with a share of £100 in cash prizes to be won! 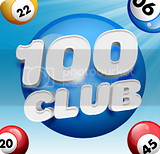 Simply play any 90 or 75 ball bingo games between Friday 21st and midnight Thursday 27th February 2014, and you will earn one point for every £1 wagered. Accumulate enough points throughout the competition period and if make it into the top 10 of the leaderboard you’ll bag a guaranteed bingo bonus prize. Join them for 100 Club every Friday, Saturday and Sunday and you could win a guaranteed £100 prize for one line, two lines and a Full House. That's three chances to win £100 in every game! You are cordially invited to join an amazing ‘under the sea’adventure with the Mermaid Slot. Join Scratch Mania, and dive under water to meet all the amazing creatures of the sea! The opportunities to win the grand jackpot are endless! With a 1 in 3 chance of winning, this chance is too good to be true! Register and receive a £7 bonus! Press PLAY and receive up to £200 for free! Play and win up to £200,000 jackpot! Make your first EcoPayz deposit and get a 100% Match up bonus! *Deposit method not available to US players. This is where you'll find all your favourite B90 games every Saturday and Sunday from 3pm - 9pm ET. 2 MILLION SPS EVERY WEEKEND up for grabs!!! Don't miss a minute of fun as teams BATTERS, SUGARS, LEMON JUICE, and TREACLE race to the finish line during the PANCAKES TEAM EVENT! Win yourself a lovely slap up meal! Just grab a Full House on Friday at 8PM and they'll buy you a £50 Takeaway for next week! Make your Friday with a meal to remember! Gilda escaped again last week but that makes it more interesting this week roomies. 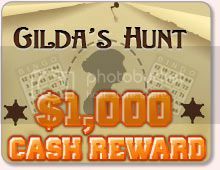 Sunday 16th of March, in Dollar Room the hunt continues for a $2,000 CASH bounty. All the action will take place between 8PM-11PM EST. This week on the most famous hunts of all, they have a $1,000 CASH prize for you roomies. Join in on Sunday, 23rd of March, in the Dollar Room, between 8PM - 11PM EST and enjoy special bonuses and the company of great people and CMs. £1,000 cash to be won! 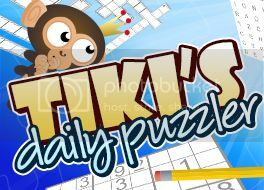 Dust off your pencil case and complete Tiki’s daily puzzler to win one of 20 cash prizes of £50! Every Friday there will be £3,000 up for grabs in one fantastic Bingo game! You can win your share of £3k from 9pm in the Two Little Ducks, Dancing Queen, Key to the Door, Friendsy’s Legs Eleven and Lucky for Some rooms! You can win free entry to the sensational event buy winning complimentary tickets in het Two Little Ducks room the week before the big game! Tickets to the free entry games will cost 15p and will run the Saturday to Thursday before the £3k Friday Bingo. You can also pay 50p a ticket to play in the £3,000 Friday Bingo Game for the chance to win from a massive prize pot! Get that Friday feeling in a big way with Mecca Bingo! Play the $13,000 Spring Sweep on Saturday! Join in the fun and excitement of CyberBingo's Big Bingo event - The $13,000 Guaranteed Spring Sweep in the Bingo Tourney Room on Saturday, March 29th and you could be giving your home a Spring Sweep with Guaranteed cash! At 8pm, 9pm and 10pm ET will play $1,000 Guaranteed warm up games to get players ready for the main event at 11pm ET where they will play an incredible $10,000 Guaranteed. Whatever your plans this spring, pre order your cards now and you could be giving your home a complete makeover courtesy of CyberBingo. Also, this weekend is Mother's Day in the UK! Take advantage of those special offers! Don't horse around, buy your tickets today for the Grand National games on Saturday 5th April and get yourself in the winners' enclosure. Scoop a guaranteed share of £5,000! Let the Bingo see the balls! Join Paddy for Take Me Out Bingo and win a guaranteed share of a £5,000 prize pot! We all feel stressed from time to time, but we cannot let it ruin our mood or our daily happiness. This April they will celebrate Stress Awareness Month, they've put together the best games to take your worries away! Guaranteed! So, make sure you join them on April 5th and April 6th in the Dollar bingo room, between 7 PM and 9 PM! You will enjoy 2 hidden games per day, one with a prize of $500 and the other with a prize of $750. Play EXCLUSIVE Ant & Dec's Saturday Night Takeaway bingo games, slot and scratchcards – every day of the week! 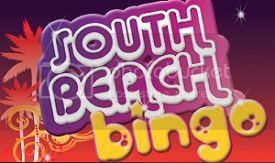 GalaBingo.com has teamed up with national favourite, Ant & Dec's Saturday Night Takeaway TV show on ITV to bring new and existing members exclusive bingo games, slot and scratchcards full of great bonuses and prizes! And best of all, you can ‘Win The Ads' every Saturday night in the Ant & Dec's Saturday Night Takeaway bingo room! A whole night filled with All Sorts of Fun! Join them on Sunday 13th April for an amazing £30,000 All Sorts of Fun night! With £30,000 in prize money to be won with the start of a great year, there will be plenty of 1TG & 2TG games, Bingo Linx, Big Money games, Last Chance Saloon, Buy 1 get 1, 2 or 3 Free and Roll on Bingo! The fun takes place in the Living Room from 6pm until Midnight for some Pick 'n' Mix fun!. Grab a 175% Bonus on Big Brother Saturday! Receive a bonus on all deposits plus an extra special surprise bonus during Big Brother's visits to all chat rooms. Enjoy the specials running all weekend long. Have a great holiday to all our celebrating members. They have a massive £250k in guaranteed prizes up for grabs over the weekend including £100k guaranteed on Friday night, £100k guaranteed on Saturday night and £50k guaranteed on Sunday night. For your chance to win, make sure you are in the Bingo Café from 6pm until midnight on Friday, Saturday and Sunday. The night will be packed with loads of huge guaranteed prizes, Penny Bingo, BOGOF, 1TG and 2TG games and much more! Tickets start from as little as 5p, and are available for prebuy now! 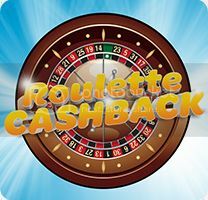 Take the fantastic Roulette Splendide for a spin every Saturday and Sunday in April and earn a great big 10% Cashback! With the weather heating up and sun shining make sure to put your music on blast. Everybody loves a good tune and Record Store Day is actually celebrated this month. When you're not busy scanning for records make sure to join the Desperate Housewives bingo room Saturday and Sunday, April 26th and 27th, because starting from 6:00 PM until 7:00 PM EST, they will throw in some hidden games with prizes somewhere between $250 and $500, 2 of them every day! 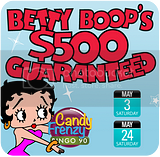 It's time to jump into the fun and excitement of Betty Boop's $500 Guaranteed game on Saturday May 3rd. Playing in the Candy Frenzy Bingo 90 Room at 5pm EDT, this game is guaranteed to be filled with fun. Don't miss Betty's incredible Buy 8 Get 4 Free offer on tickets to this great game. Win your way to a Year of FREE bingo at Costa! They’re giving away a month of free bingo every night leading up to May Bank Holiday in the bingo bonanza free games from Thursday 1st May – Sunday 4th May. Then on May 5th they have a year of free bingo to be won for just 10p! Tonight you could be the lucky winner of $1,000 CASH! The 11pm Coverall will go in 55 calls Friday night so don't miss it! You can win your share of £3k from 9pm in the Two Little Ducks, Dancing Queen, Key to the Door, Friendsy’s Legs Eleven and Lucky for Some rooms! You can also win free entry to the sensational event buy winning complimentary tickets in the Two Little Ducks room the week before the big game! It’s almost summer: a time for chilling and enjoying a nice cold beer, so raise your glass and join Sunny in the Patterns for Prizes competition! There’s loads of fab beer related prizes up for grabs in our beer themed patterns to be won! Join in the beer themed fun from 15th – 25th May. Saturday May 24th sees the return of CyberBingo’s favorite, Ms Betty Boop. This is the second of her great games this month and a chance to win a $500 guaranteed prize. With a special Buy 8 and Get 4 free offer on all tickets to the Betty Boop’s $500 Guaranteed game, join in the fun and excitement at 5pm EDT in the Candy Frenzy Bingo 90 Room. 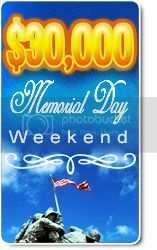 Join them this Memorial Day weekend for over $10,000 in Guaranteed Ca$H and $20,000.00 worth of Memorial Day Coveralls. 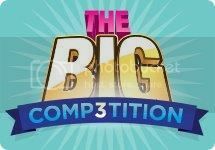 It's all change at The Big Competition - you've now got more chances to win some amazing prizes! It all starts on Saturday and players have until Thursday to complete 3 challenges to be eligible to take part in 3 special games, which have 3 great prizes each! Games play every Friday at 8.30pm, 9.30pm & 10.30pm.